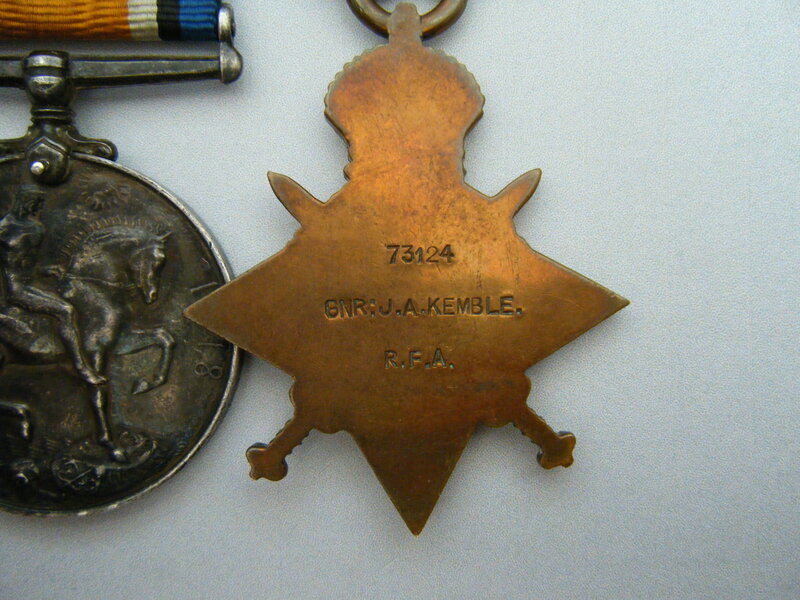 WW1 1914 Mons Star medal group, Royal Field Artillery awarded to 73124 James A. Kemble. 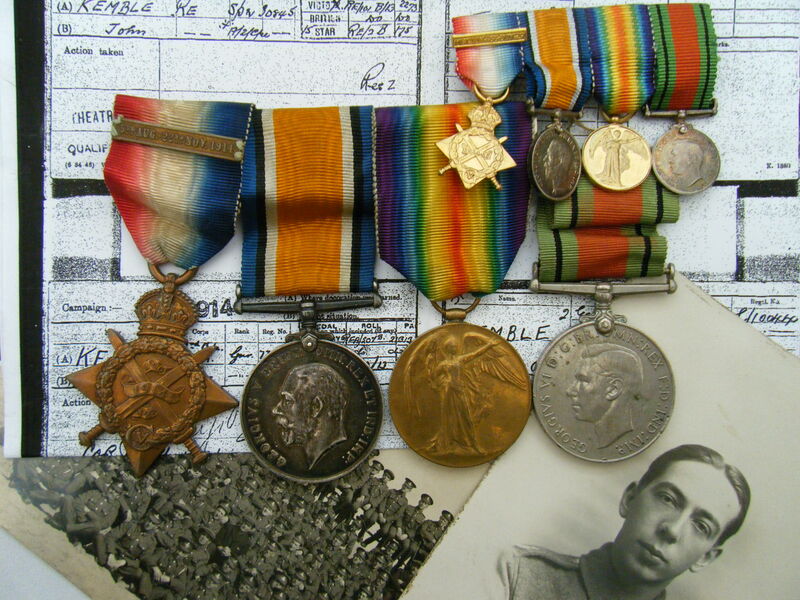 Kemble served with served with the 23rd Brigade Royal Field Artillery and entered France on the 19th August 1914 serving as a gunner. The brigade was attached to 3rd Infantry (‘Iron’) Division. The unit history can be viewed by clicking on here and on here. The division served in many major battles of the war, including the Battle of Mons and the subsequent Great Retreat (from Mons), and later the First Battle of Ypres, which saw the pre-war Regular Army all but destroyed, with the 3rd Division suffering considerably. 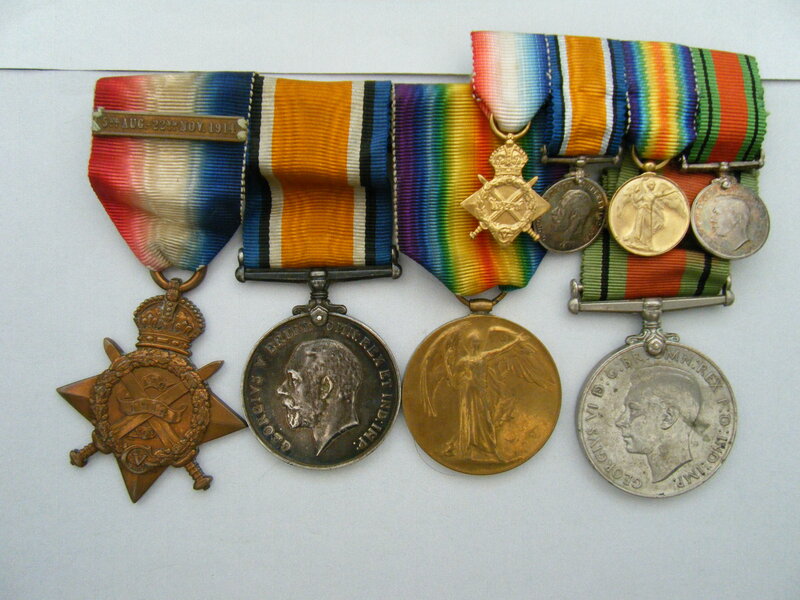 1914 Star (with Mons clasp) named to GNR. J. A. KEMBLE., R.F.A. British War Medal and Victory Medal named to GNR. J. A. KEMBLE., R.A. 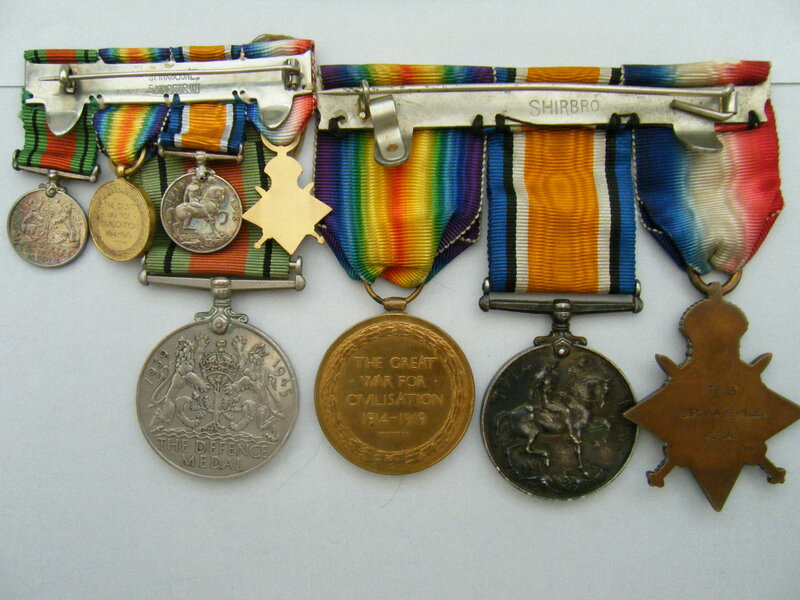 The WW1 medals are swing mounted with a set of original ribbons and matching miniatures that are also mounted. Also included are a couple of photographs which came with this lot that I am told are said to be Kemble and his unit. The Defence medal would have been issued for service during WW2, probably for either civil defence or Home Guard service.